The coastal shores of the Pacific Ocean are silhouetted by the after sunset light while the clouds and sky are still lit by the glow of the sun. 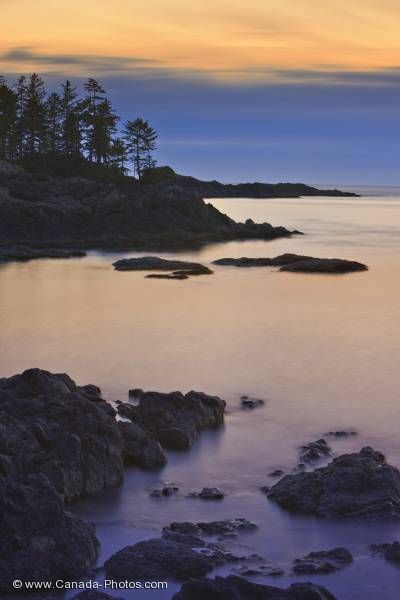 Pacific Rim National Park is a park steeped in magnificent coastal scenery. Rocky shore of South Beach after sunset, Pacific Rim National Park, Long Beach Unit, Clayoquot Sound UNESCO Biosphere Reserve, West Coast, Pacific Ocean, Vancouver Island, British Columbia, Canada.